The Dow Jones today posted a modest 18-point gain in premarket hours as investors turned their attention away from yesterday's trade news and focused on a fresh round of economic reports. Guidance on the U.S. labor market, business inventories, and inflation are set to be released later today. These reports are likely to provide greater insight into the health of the U.S. economy as the Nasdaq and S&P push towards all time highs. Earnings season is well underway. And if you're looking to make real money, the time to get started is now. Money Morning's Quantitative Specialist Chris Johnson argues that the markets are at a tipping point. And with just a few smart plays in today's classic stock picker's market… you can pull in triple-digit gains with just a small investment. Read those picks, right here. The Trump administration announced yesterday that it plans to impose new sanctions on Russia. The decision comes in response to the poisoning of a former Russian agent and his daughter in the United Kingdom, an event that sparked international outrage. The Putin administration responded by claiming that the U.S sanctions were "absolutely illegal" as Russian stocks plunged more than 2% on the day. Merger mania hit a wall Thursday. 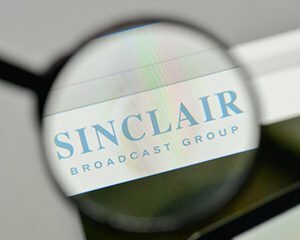 Tribune Media Co. (NYSE: TRCO) killed off its merger deal with Sinclair Broadcast Group (Nasdaq: SBGI) and filed a breach of contract lawsuit against its suitor. Tribune alleges that the broadcasting firm was very aggressive with regulators as it sought approval for a deal. Tribune also claims that Sinclair refused to sell stations in certain markets, a condition of the deal. Oil prices are trying to recover after a 3% slump on Wednesday. The decline came after the first round of sanctions against Iran by the U.S. government. Iran, which shipped three million barrels of oil per day in July, might now see its demand for crude dry up. This is likely to exacerbate existing trade tensions between the United States and the Middle Eastern regime. Rite Aid Corp. (NYSE: RAD) has called off its $24 billion deal with retailer Albertsons Cos. The announcement came a day before a shareholder meeting aimed at discussing the merger. The deal had been under pressure after several advisory firms said that Albertsons had undervalued Rite Aid. Shares of Rite Aid were off 8.6% in premarket hours. Shares of Party City Holdco Inc. (NYSE: PRTY) announced that it fell one penny short of profit expectations during the second quarter. The firm also said that revenue fell short of Wall Street expectations. However, the stock was up 1.6% after the party goods retailer said it has started a pilot program to sell its party supplies on Amazon.com (Nasdaq: AMZN). Tesla Inc. (Nasdaq: TSLA) is likely to face an investigation following a series of Tweets from Elon Musk in which he announced his intentions to make Tesla a private firm once again. According to reports, the SEC is looking into Musk after he failed to report an 8-K filing before announcing that he secured the funding necessary to take the firm private at $420 per share.